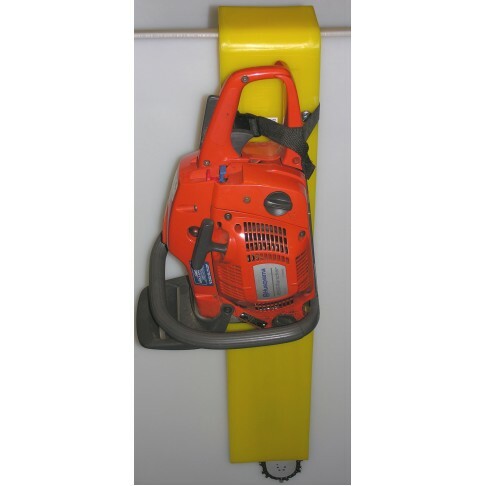 Chainsaw scabbard, copolymer, 33 1/4 x 6", sheath, 16 x 6 x 1 1/4", includes wear rollers and safety strap, reversible safety tab for inside outside mounting, bright safety yellow, for bucket trucks and aerial lifts. • The scabbard is longer than other scabbards with OAL dimensions of 33 1/4". • The sheath measures 16"L x 6"W.
• Durable copolymer construction can sustain damage better than fiberglass models. • Wear rollers are standard to improve the longevity of the scabbard sheath. 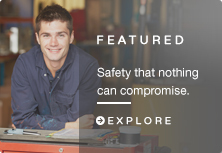 • A safety strap is included. CSS Chainsaw Scabbard, Fiberglass, 34 x 5"